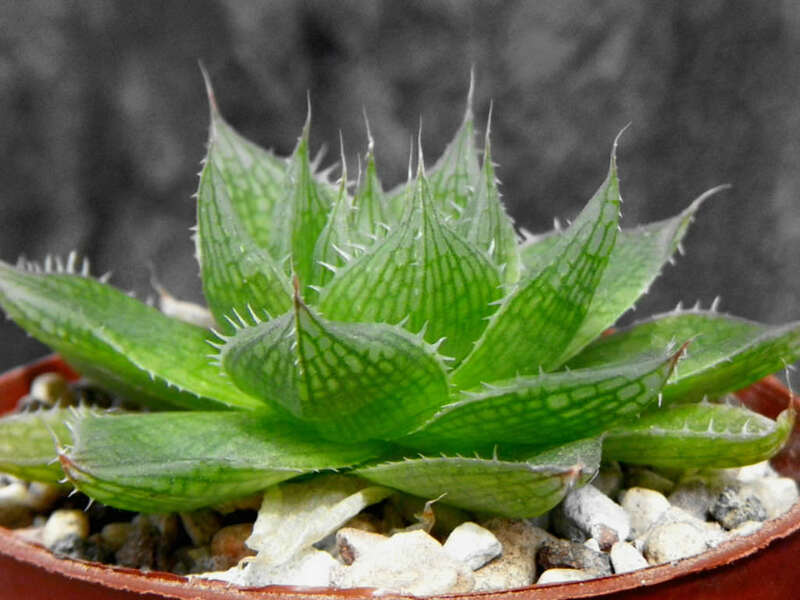 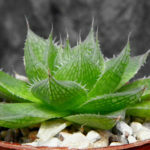 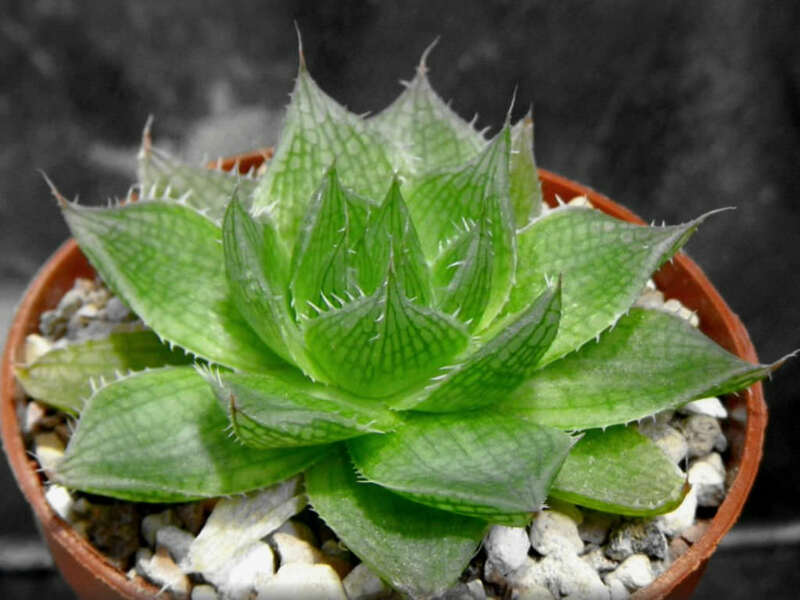 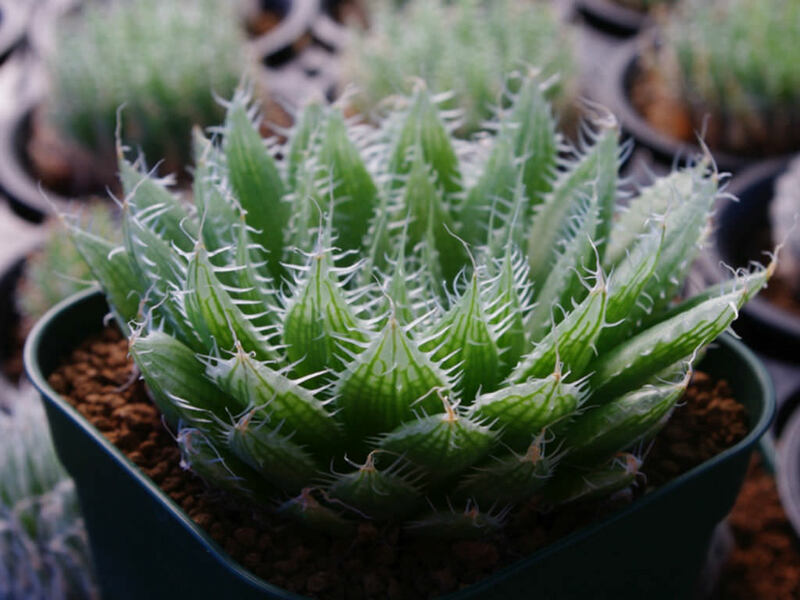 Haworthia decipiens is frequently confused with its western relative, Haworthia arachnoidea and is both variable and hard to identify. 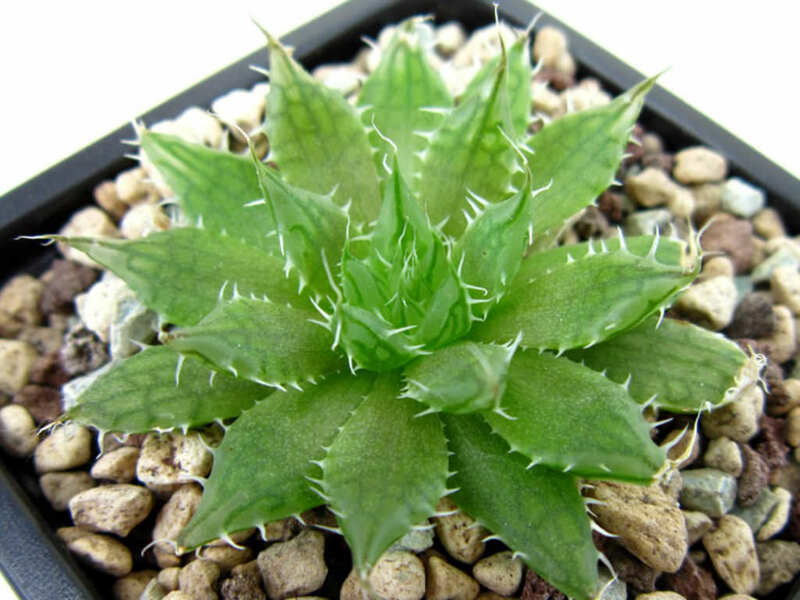 Like its relatives, it has rosettes of dense succulent leaves, which dry and contract during drought, and are covered in soft bristles. 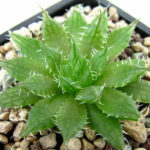 It can be distinguished by its shorter, flatter, wider leaves; a lighter color; translucent leaf tips; larger and sparser bristles which are mainly only on the leaf margins; and only a very weak leaf keel. 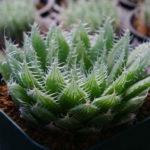 Native to South Africa (Western Cape and Eastern Cape).